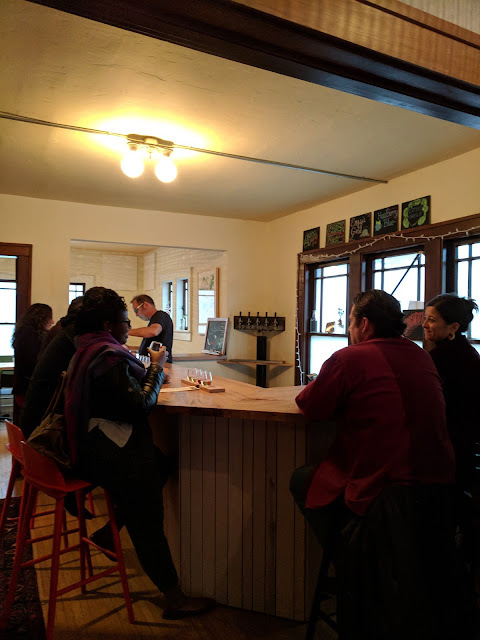 The craft drink scene is continually getting stronger in Bloomington - to the extent that we now even have a meadery! We had the chance to try out Oddball Fermentables on Friday night with some friends. 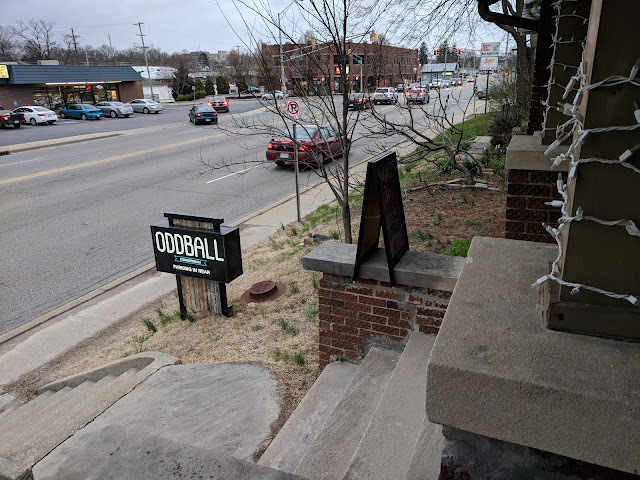 Oddball's building is on S. Walnut St., but the parking lot is accessible via a little alleyway that you can get to via either Grimes or Driscoll. There are around 6 spots in the parking lot, but you can also park on the street (we parked on Driscoll) or in Action Realty's parking lot after 5pm on weekdays or anytime on weekends. Now that I know where it is, it would be very easy to find again. 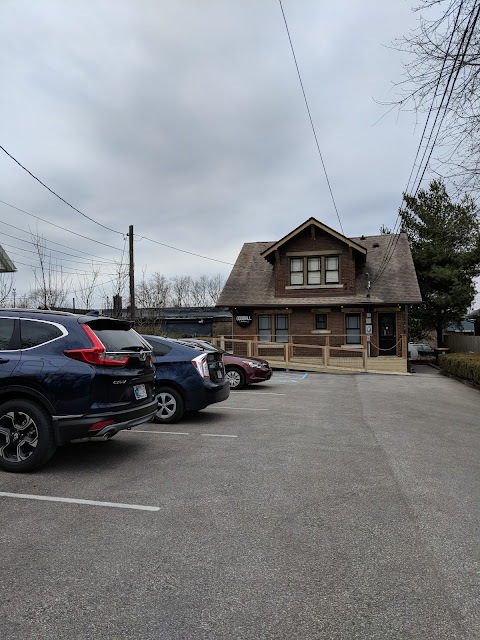 You'll need to go in the front door off Walnut to enter the building. The front porch looks like a great spot to enjoy a drink and watch the cars go by. 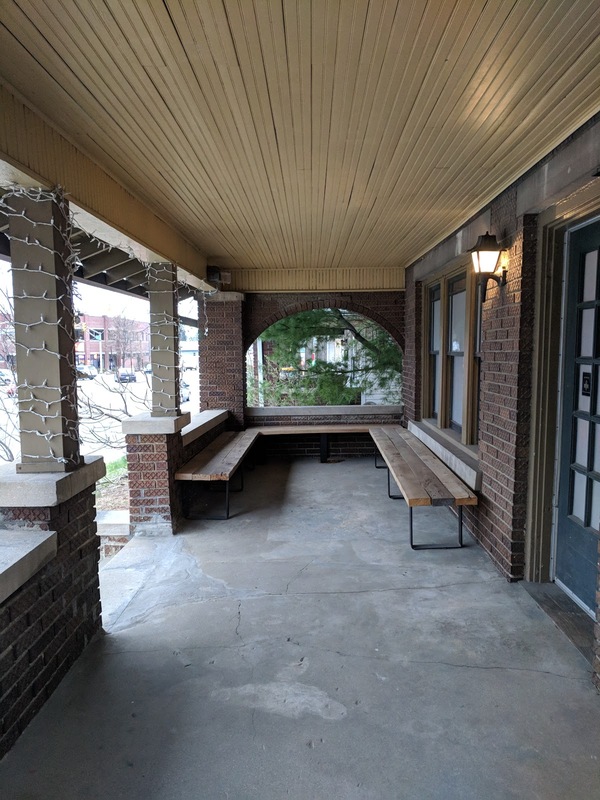 There is also some seating around the rest of the porch toward the parking lot. 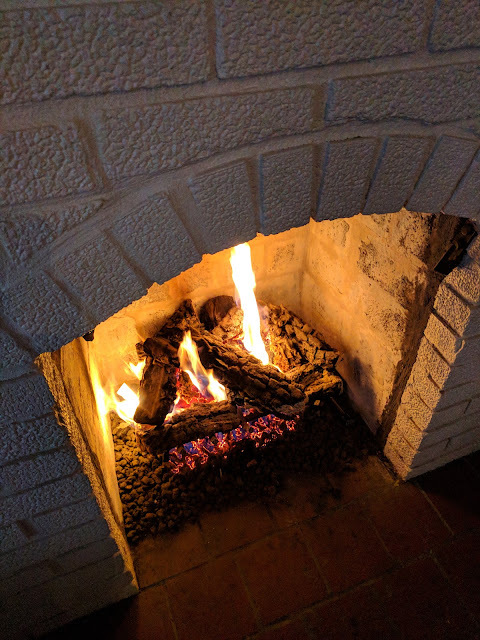 It was snowing, so we did not sit outside! The front door enters into the parlor, where a warm fire and cozy seating await. 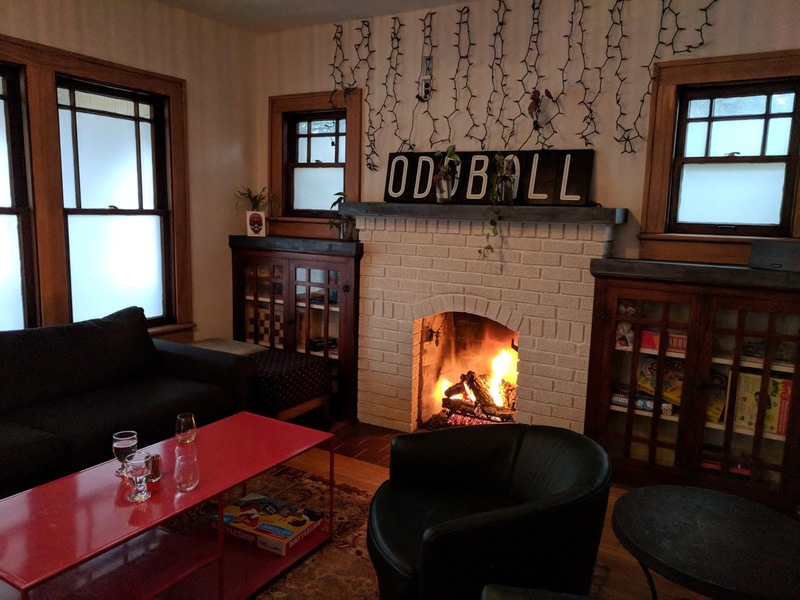 There are a couple dozen board games in those cabinets. There were other people sitting here when we arrived, so we headed to the back room where there are tables and chairs. But I love fireplaces so I think this is probably the best atmosphere for an indoor seating area among all the places to eat and drink in Bloomington. 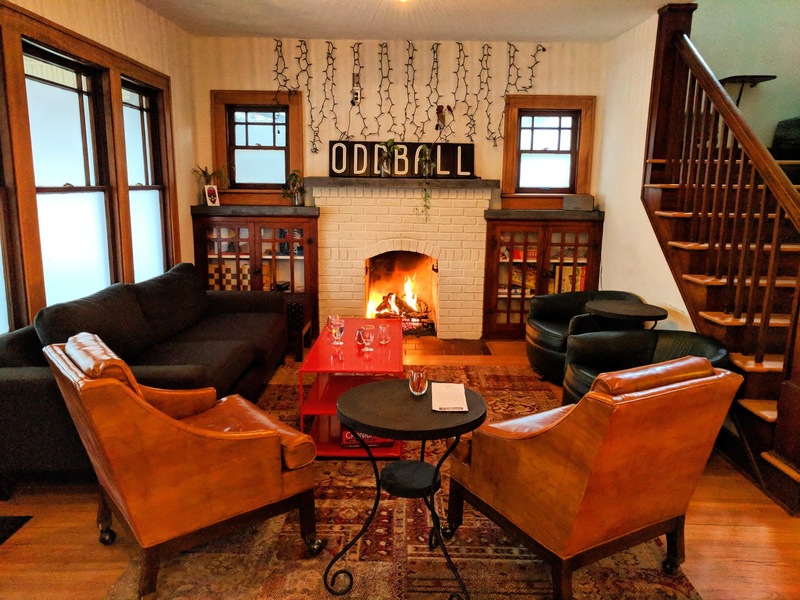 Order drinks and food at the bar. The bartender this night was one of the owners/brewers. He was quite busy all night; there was a revolving door of people stopping by for drinks. 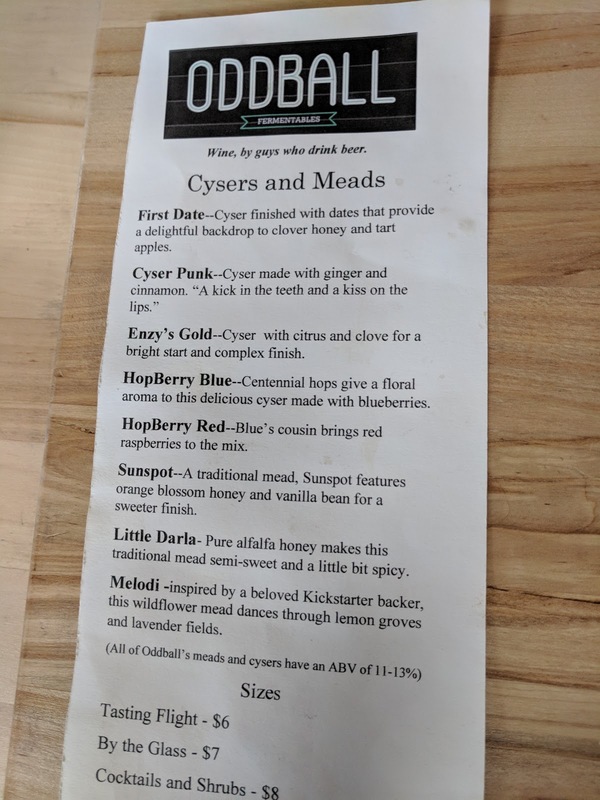 We are not well versed in mead; although we enjoy breweries and distilleries, Eric isn't a big fan of wine-style drinks so we typically don't seek them out (Oddball considers itself a wine bar). So we started off with a flight of five of the meads or cysers (fermented honey and apples) that were on offer. 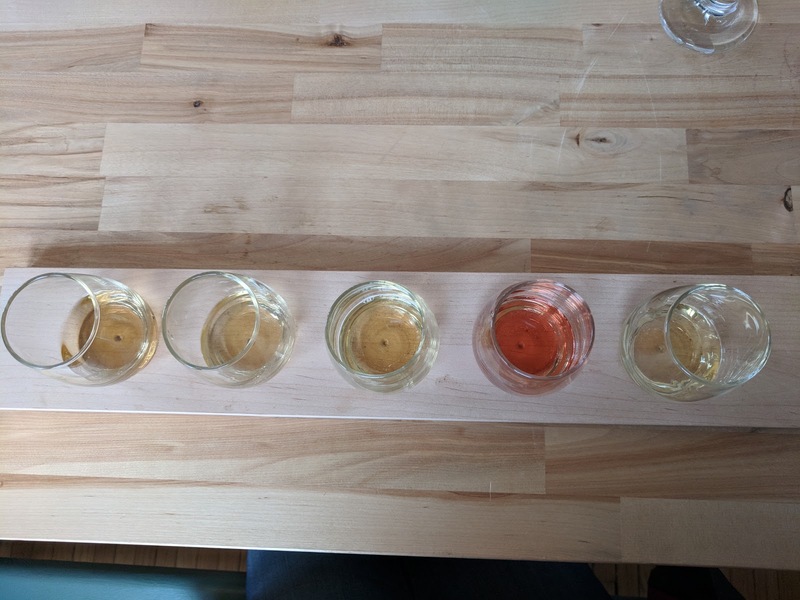 From left to right, we tried First Date, Cyser Punk, Enzy's Gold, Hopberry Blue, and Little Darla. 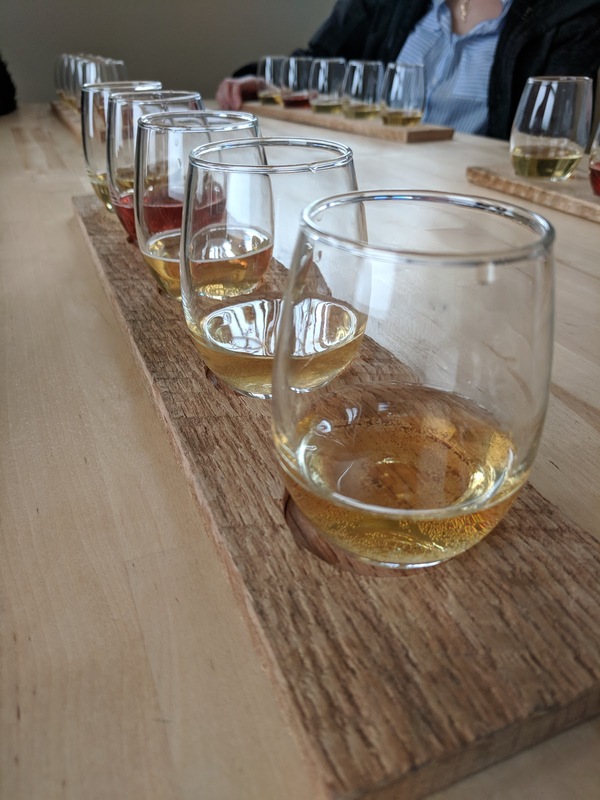 Only the Little Darla was actually a full-on mead; the others were some variation on honey and other fruit. Both Eric and my favorite was the Cyser Punk, probably because it tasted like spiced apple cider. I also liked the Little Darla a lot (I love honey). 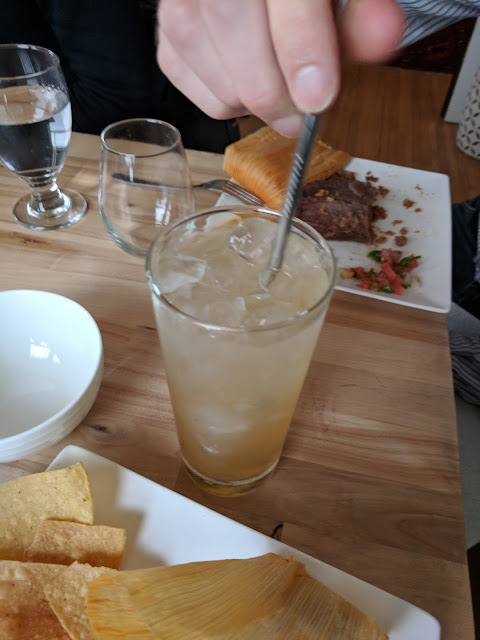 We finished our flights before ordering dinner (Oddball serves tamales and chips and salsa, which were pretty good), so Eric and I decided to share a cocktail with dinner. 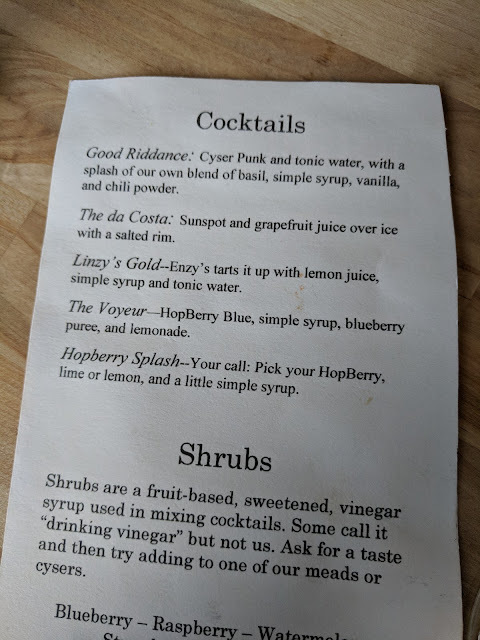 We tried the Good Riddance, which is a Cyser Punk tonic with a basil simple syrup (see cocktail menu below). It was quite good and I would definitely order it again. We had an enjoyable evening and I would like to go back to be able to enjoy the fireplace (or the porch, if it ever warms up enough). They are open Thursday (5-10), Friday (4-11), Saturday (3-11), and Sunday (2-5). Don't let the slightly-hard-to-find part (or the unstandardized business hours) scare you away. The drinks are interesting and different from anything else you can find in town, and the atmosphere is relaxed. Prices are reasonable and comparable to other Bloomington establishments. Let me know what your favorite thing was when you go!